a nice relaxed place to have a sip. It’d be easy to mistake the Lazy Monk Tap Room for a bar. 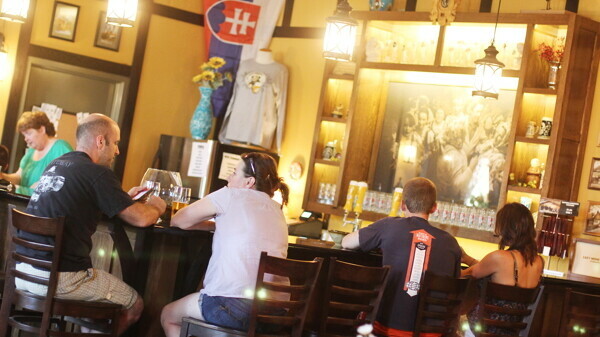 For one, the bar – which has four taps of Lazy Monk’s brews. But the tap room is much more than a bar: It’s a community room. The tap room wasn’t in the original plans for Lazy Monk. Founders Leos and Theresa Frank said they opened the small bar room after a suggestion from a friend and didn’t know how it would succeed. But succeed it did. By the end of last year the room was constantly overflowing, so the couple decided to expand. Now the space really feels like home. The walls are decorated with personal mementos from the Franks’ time in Europe (including photos of the church they were married at in Prague). The tables are large, which encourages you to sit with others and converse. One thing you’ll notice that makes this quite un-bar-like, especially for Wisconsin, is the lack of TVs and juke boxes. The only music you’ll hear is the occasional live sampling of folk and jazz groups who pass through and play, often unexpectedly. The Franks are adamant to say that the tap room is not their room, it’s a room for the community. People can feel comfortable to bring their whole family and come relax. Luckily, it’s very easy to do there. 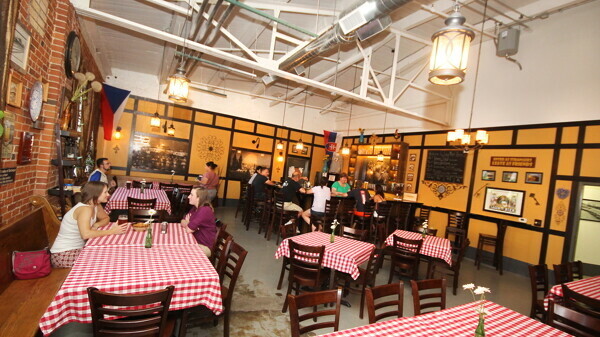 The Lazy Monk Tap Room is located in Banbury Place at 320 Putnam St. It’s open Wed.-Sat., 5pm-9pm.